Improved turning: turn into and out of things easier. Improved stability on landings and at high speeds. 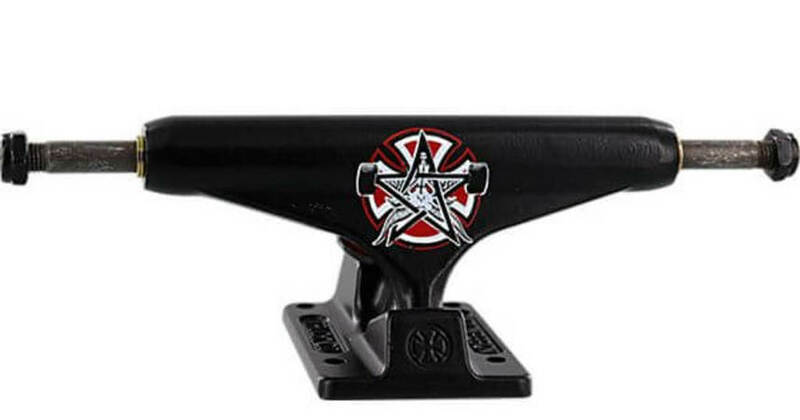 Improved "No Hang Up" yoke: In addition to better overall kingpin clearance, we’ve enhanced the yoke around the cushion seat, taking the kingpin even more out-of-play on grind tricks like feebles and smiths. Longer lasting: material added above the axle so your trucks last even longer. Improved hanger design is stronger on impact. New standard height accommodates up to 56mm wheel without riser.